Christmas is about a month away. If you're a kid like me, Christmas is amazing! However, adults see it as the death of their bank accounts. But what I loved the most were the shows they showed. Charlie Brown and Frosty the Snowman. 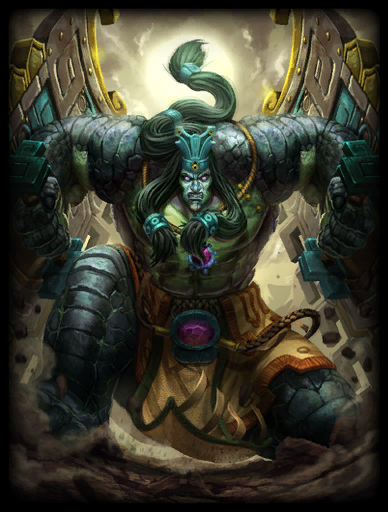 A few years later, and Ymir was born into the wonderful world of SMITE, and is still the most popular guardian played. This is my 5th guide now, and this one is true to my name. Just as a reminder, this guide is for all modes. There are four more of these hidden messages. Find them all, and comment what the final one says. You shall find the first one right under your nose. I'm surprised that Ymir's kit has barely been touched after all this time. All of Ymir's damaging abilities apply Frostbite. Hitting an enemy that has Frostbite with a basic attack does double damage. Enemies affected by Frostbite do 10% less damage. This debuff lasts for 4 seconds, meaning that you can basic attack them for the duration of it. This debuff can save your life. This is a wall that forms horizontally from where you select. The more you level it up, the longer it lasts. I personally wish that this was like Mei's Ice Wall, where maybe if you press 1 again, it changes positions. Well known tip: While running, if you place this under yourself, the wall will spawn directly behind, detouring your pursuers. However, you have to have full boots, and this will not work if you are slowed. You'll wall yourself off. You will mainly want to level this last because it is just a wall, and after leveling it once, it can last for 2 seconds. This is a wide line in front of you. When you smash your club, it takes a quick second for it to actually do damage, so don't try to use this if enemies you are chasing are on the edge of it. Also, it does stop you in place for you to cast. On a good note, it does slow for a third of their movement speed for 4 seconds. Applies Frostbite. This will be your first ability because it deals the most damage except for your ult. Thus, maxing it out first will maximize your damage against minions as early as possible. This is a cone in front of you that damages and stuns enemies for 1 second. Applies Frostbite. This will be maxed out second. Not only does the damage increase as you level it up, but so does the stun time. At max rank, it reaches 2.25 seconds, but does not deal as much as Glacial Strike, so it can wait after it. This is a huge Area of Effect. It slows all enemies in the area by about a third, and after 3 seconds, explodes. This one ability can do up to 2000 damage late game if built correctly. Do note that while channeling, Ymir is frozen. You can cancel the ability any time, but the damage will be decreased, but will still apply to the whole area. Level this whenever possible. It will eventually end up being your last ability that gets full points into it, but it is unwise to ever hold any ult points till all of your other abilities are leveled, because the ultimate ability is always detrimental to a character's kit and to a fighting scenario, so holding it back will limit your potential greatly. Try to sneak up on them to get them in the center or side of the cone. Once frozen, use your 2 to slow them. After, you can either chase them or leave them to your team. You can either wall them off or freeze first. After doing one, do the other, then get close and ult. Because your ult area slows, they'll either have to Purification to get out, or take the damage. It is better to stop it early to make sure that they don't exit the area. Use your 3 to freeze them in place, basic them, wall them off, then use your 2. If you want to use your ult, freeze them, use your 2 to slow them, wall them off, then ult if they're close, but cancel after half a second. This is the second one on your journey. When the third is discovered, you shall remember what it means to be a hunter. "How can you be a fed guardian?" More older players will see that the ludicrous amount of CC that guardians have can give you kills, but will still keep you in the clear, as they are naturally tanky. Note: In the event that separate builds share the same item, they will not be reiterated in the later one. If it seems that a build has too few items, please do refer to the earlier builds to find the item you were looking for. Avalanches are unstoppable forces of snow, toppling over all who dare oppose it. This is a standard Support build. This will now show how far everything in the game on your current character will go. This is a good setting for beginners getting used to a new god, until they are proficient enough to predict and get correct their abilities, mana usage, timing, etc. Note: This and Sovereignty can be swapped with any other item in the build, as in you can choose to build them later, and they can be changed with themselves, but must be in the build. Note: This and Heartward Amulet can be swapped with any other item in the build, as in you can choose to build them later, and they can be changed with themselves, but must be in the build. Reinforced Shoes is your first item. It provides 20 magical power, 75 health, 20% CC reduction, and 18% movement speed. For those who don't know, CC=Crowd Control, which is stuff like Stuns (they make you unable to do anything) Roots (they keep you in place) Knock Ups/Backs (they knock you out of position) Slows (they make you slower) and Cripples (the make you unable to use a jumping, dashing, or teleporting ability. With CC reduction, you will get affected less by these things. Every time you get damaged, you gain a stack of 6 protections, both Magical and Physical, that lasts for 6 seconds, with a maximum of 3 stacks. Protections reduce the amount of damage you take. Go big or go home. This is the cheapest of the boots tree. It provides a measly 20 magical power, along with the standard 18% movement speed. When out of combat, you gain 14% movement and 25 HP5. Also, when you hit a god, you gain 30 extra gold. This can occur every 90 seconds. 30 gold may seem small, but this can finish an item for you in certain situations. Seeing as in Conquest, you gain 3 gold every second, this shaves 10 seconds off your stay in base. For those who don't know, when you do an ability or basic attack, you are in combat. If you stand idle after doing such an action for 5 seconds, you are out of combat. There are also visual cues, though subtle, to tell you in which stance you are in. Thus, this effect occurs 5 seconds after you stop attacking. Shoes of Focus is a goto item for most guardians. It supplies you with the movement speed, along with 40 magical power, 250 mana, and 10% cooldown reduction. 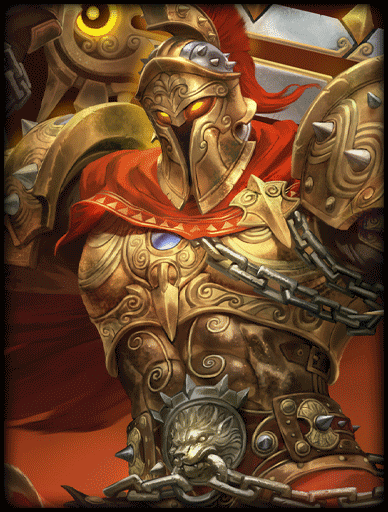 Breastplate of Valor is a very popular choice in both casual and professional builds. It is very simple. It gives 75 physical protections, 300 mana, and 20% Cooldown Reduction, meaning that your abilities will come back faster. Hide of the Urchin is also very ideal in what it offers. It gives 35 protections of both kinds and 250 health and mana. Also, for every kill or assist you get, you earn an additional 3 Magical and Physical protections, stacking up to 10 times. This can give you a maximum of 65 protections of both kinds! It is better to build it earlier in the build, as with any stacking item, so that you can build up stacks. However, because it is only 10 stacks of kills/assists and not minions, it can be pushed further back into the build in games that drag out longer, such as Joust or Conquest. Lastly, Bulwark of Hope is your last item. It gives 60 magical protections, 200 health, and 20% CC reduction. When you are below 30% health and take damage, a shield generates around you. This shield is equal to 150 health + 10 per additional level, meaning that at level 1, you have a 160 health shield. This blocks all incoming damage and lasts for 20 seconds. When the shield either takes too much damage or the time runs out, you are returned to the amount of health you had before the shield appeared. This is what true defense is. Not only does it give health for beefiness, CC reduction for escaping death, and protections, it also gives a shield that takes damage for you. Nuff said. Note: Just because this is a shield does not mean you can activate it and go back into the fight like nothing happened. Either try to run far enough to be safe and recall, or help your teammates until the shield expires. In my opinion, Emperor's Armor is kind of an underpicked item since its release. It flat out gives you 250 health and 30 physical protections. Any enemy towers and phoenixes within a range of 55, which is the circle at which a ranged character can go into and damage one, have their attack speed slowed by 30%, and allied towers and phoenixes have their attack speed boosted by 30%. This is good when you are assisting a split push, which is an attack on an enemy tower or pheonixes that is unprotected while your teammates and the enemy team are off fighting together, or for a very hard push with your team, thus keeping a majority of your minions. To tell if the effect has been applied, looking at enemy towers and phoenixes will have a red swirl, and yours will have blue swirls. Another sort of underpicked item. Magi's Blessing gives 350 health and a mediocre 15 protections of both kinds. Every 70 seconds, you are able to absorb, or nullify, a hard CC, which is type of CC that prevents you from doing anything for a period of time, or a root, which is a type of stun that still allows you to rotate your character and fire basic attacks and abilities. After this nullification, you gain 1 second of CC immunity. Compared to Purification, a relic that nullifies any current CCs and gives 2 seconds of CC immunity, but with a cooldown of 3 minutes, this is a lesser version that can be activated twice before Purification comes back. This is a relic. You get these for free at the beginning of the game, and can get another one at level 12. They have long cooldowns, and once you leave the base, they're stuck with you. Meditation heals all allies within the area, including yourself, for 15% of their health, and restores 35% of their mana. This has a 120 second cooldown. This is great after a fight, and you need your team to get back to a position where they can remain where they are instead of backing. Curse slows all enemies in the area by 40% and reduces all healing effects and regeneration by 50%. This has a 150 second cooldown. This is great for chasing an enemy, or for initiation and setup for your team to kill most of the enemy team. Oh mang. This relic gives every one on your team in the area 20% extra power (applies to both kinds), 20% attack speed, gives you 10 extra objective damage, and removes all cases of Disarms. All for 10 seconds, every 120 seconds. This is the relic to go if you are aggressive, or want a huge push on objectives. Just imagine a guardian that had a passive that gave them increased benefits from defensive items. This item gives everyone in the area 45 protections of both kinds and a 15% damage reduction buff, and has a 140 second cooldown. This is a great defense item if you walk into a fight and your team is kind of losing, or if they are running away in fear of losing. Lastly, you can't have buffs without speed. Sprint makes everyone in the area 40% faster and immune to slows for 5 seconds. This can be activated every 150 seconds. This is good to get to a place fast, or to leave and disperse. This is a starter item. There are 5 to choose from, and they cost 800 gold. These are essential to getting you ahead in the game, as they provide benefits that will later be shadowed by more expensive items. Mark of the Vanguard gives 10 physical protections and 150 health. This starter reduces all incoming damage by 5. Seeing as basic attacks from hunters early game will do around 30 damage, and guardian abilities do around 100 damage at level 1, you can see how this can be your earliest form of protections and can save your life. Another starter item, Watcher's Gift gives 100 health, 5 HP5, and 5 MP5. When you assist in a minion or jungle monster kill, but don't actually kill it, you get 4 gold, including the gold for getting an assist, and restore 7 health and 7 mana. This item is great for supports. Seeing as your hunter will need the minion kills and stacks for their items, it still allows you to stay right where you are in terms of exp and gold. This more supports the passive play-style, letting your enemy make the move before you strike, or just gaining great farm. Polynomicon, Soul Reaver. What do they have in common? THEY CAN BE SEEN ON AN AO KUANG! Book of Thoth is essential to this build. When you buy it, you get 100 magical power, 125 mana, and 15 MP5. This is a stacking item. You get 10 mana per stack, with a minion equalling 1, and a kill equalling 5. At a maximum of 75 stacks, you will have gotten an additional 750 mana just from this item. Lastly, 3% of your mana is turned into magical power. Since this item gives you a total of 875 mana, and you start out at 200 mana, with 32 mana for each level (so 232 at level 1) you will have 1107 mana at level 1, which gives you 158 magical power at level 1!. This number will only increase as your level and your build increases. Some of you may be wondering why this is the first item. I know that it costs almost 3000 gold, but with the inclusion of the later items, this will truly spike your power. Also, you will need time to stack this item. 75 minions or 15 kills. Seeing that each group of minions is 6, it will take a long time for you to fully stack, meaning that it is okay to push back boots with items like these. This is the start of your power spike. Because some of the other items in this build gives mana, this will add more power to the already given power. Shoes of the Magi is just your basic boots. It gives you the standard 18% movement speed, along with 45 magical power and a flat 10 magical penetration. For those who do not know, penetration is how much armor you ignore from your opponent's protections. Flat penetration gives you a certain amount of power against protections. An example of this is Shoes of the Magi and Spear of Desolation. Percentage penetration is the amount of power you get that ignores protections based on the amount of protections that the enemy has. Items like Obsidian Shard and Titan's Bane are the most prime examples of this. Flat reduction is the amount of protections you take away from the enemy. Items like Spear of Magus and Void Stone do this. Lastly, Percentage reduction is the amount of protections you take away from an enemy based on how much they have. A great example of this is The Executioner. Just wait for it. Polynomicon gives 75 magical power, 10% lifesteal, and 300 mana, which is an extra 9 magical power for Book of Thoth to use. When you activate an ability, the next basic attack within 8 seconds deals an extra 75% of your magical power as damage. This can occur every 3 seconds! Thanks to Elite Ownage for helping me with the following calculations. The basics in this build is 245 basic attack damage, 793 magical power, and 30 penetration. We will be doing this on a Ra from jungle practice. Seeing as mages have exactly 30 magical protections to start with, and do not increase due to level, this will mean our damage has no limitations. To setup our basic attacks, we will use Frost Breath, doing 607 damage. Because Frostbite is now applied, this will make our next basic attack (245 x 2) + (.75 x 793) ~ 1085 damage. 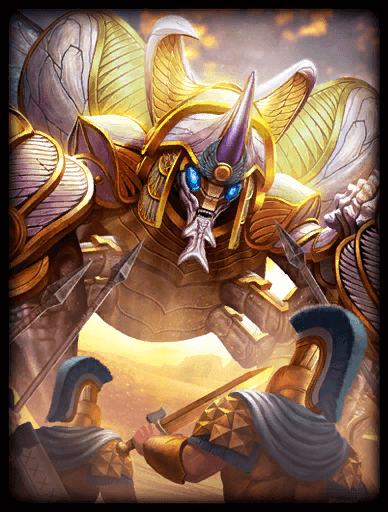 Ra at level 20 will have 1745 health, this will leave only 53 health. If you were to do this with Glacial Strike, which will slow him to setup a basic, this will two shot. JESUS CHRIST (and other religious figures)! Soul Reaver is like Polynomicon in that the damage is ****ing insane it helps with your burst. 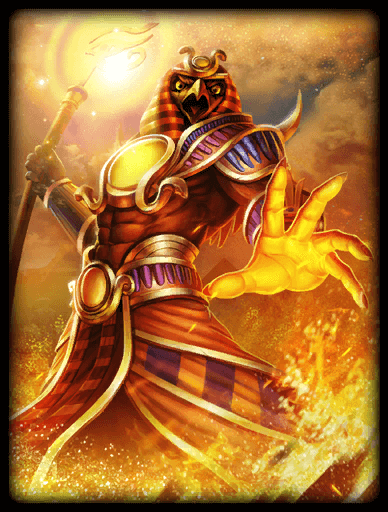 It gives 100 magical power and 300 mana, giving you another 9 magical power supplied from Book of Thoth's passive. What is with these books that give mana? When you damage an enemy god, they take an extra 10% of their maximum health as additional damage, and if more than one person is hit, then the one with the highest maximum health takes the extra damage. This effect can occur every 40 seconds. This effect is referred to as true damage, as no protections are taken into account. Another item that does this is Qin's Sais, which deals 4% of the target's maximum health as damage after every successful basic attack. Using the Polynomicon calculations above will apply an extra ~ 175 damage to Frost Breath, meaning that this build makes a 3-basic combo kill a level 20 Ra in jungle practice. Broken. Now that I look back, this build really does have a lot of damage to be simply called "Burst." Nonetheless, Rod of Tahuti gives 125 magical power and 15 MP5. This one item can increase your overall magical power by 25%. Specifically, it multiplies the amount of magical power that each item with magical power gives by 1.25, which basically multiplies your whole power by 1.25. We are ending our journey of power. Spear of Desolation gives 120 magical power and a flat 20 magical penetration. When you kill an enemy god, all of your abilities' cooldowns are reduced by 8 seconds. With some cooldown reduction, this can sometimes completely reset an ability's cooldown. This effect can occur every 30 seconds. This is the most expensive item in the game, coming in at 3800 gold. This is what it means to be fed. Buying this item tells your opponent, "I'm comin' for ya, big boy!" Not only with its passive, but its stats almost match Rod of Tahuti without the passive, along with penetration. Obsidian Shard is a very popular item to go with in very bursty builds. It gives 70 magical power. Obsidian Shard gives you 33% magical penetration, or in other words, lets you ignore a third of your target's protections. This is effective against guardians, as they build very tanky. I am happy that this item recently got buffed. Gem of Isolation now gives 90 magical power instead of 75, along with 250 health and 250 mana, giving you an extra 8 (technically 7.5) power from Book of Thoth. Damaging anyone with an ability slows them by 25% for 2 seconds. This item makes Ymir have 3 slows in his kit, and it does combine with your slow from Glacial Strike. Be careful when trying to chain CCs, because the more consecutive amounts of CC someone undergoes, the less time they are affected by them. This will make your total CC 3 slows and a stun. If your Frost Breath isn't fully leveled, the slow will persist after they are stunned. Every knows that feeling. Going to bed on Christmas Eve, imagining using your Christmas present in your dreams. Waking up at 2 A.M. because you thought you heard a sound and went to go check on the cookies and stockings. All of it, just hoping that you didn't have to wait so long for Christmas. This build, you won't have to, because Christmas is every few seconds. Chronos' Pendant is what truly gives this build its name. It grants 75 magical power, 25 MP5, and 20% Cooldown Reduction. Simple, but important. I know that we have already covered this item in my FrostBite Build. However, in this build, it replaces the core item of Shoes of Focus. This is because if you were to buy those, you would go over the regular maximum cooldown reduction of 40% by 10%. Thus, giving you some extra power and penetration would benefit you more to give your abilities a punch. To have fast abilities, you must be able to be fast. Winged Blade gives 300 health, 20% CC reduction, 10% attack speed, and 10% movement speed. Note: With this item, you will max out your CC% reduction, meaning that all CCs will affect you 40% less. When you get hit by a slow, it is nullified. Not only that, but you will be immune to slows and move 20% faster for 4 seconds. This can occur every 20 seconds. 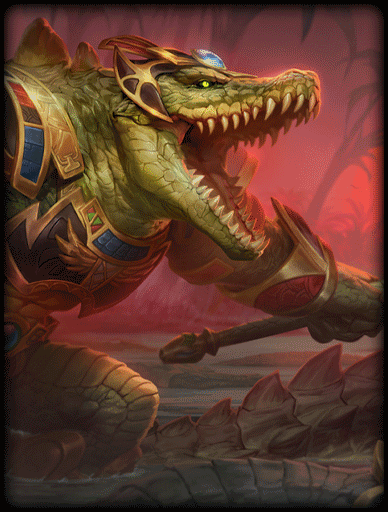 This thing has more mobility in it than Camazotz. Spirit Robe has now seen more of a pickup than it used to. As of Patch 3.21, it gives 40 protections of both kinds, 10% Cooldown reduction, and 20% CC reduction. When you get hit by a hard CC, which are CC's that render you useless, you get a 15% damage mitigation, or reduction, buff for 3 seconds. This can occur every 15 seconds. This can be well paired with Purification to give CC immunity for 2 of the 3 seconds. For those who don't know, the Nemean Lion was a beast that Hercules fought that had impenetrable skin. But being himself, he killed with his bare hands. Hide of the Nemean Lion gives 90 physical protections and 200 mana, which gives you an extra 6 magical power. Anyone knows Hou Yi, right? The anti-hunter hunter? Suntouched ring a bell? Well, if he were an item, he would be this one, because it ****s hunters up it decreases a hunter's effectiveness. 20% of all basic attack damage is reflected back to the dealer. This includes critical attacks. And people say SMITE is broken. People usually think of Bigfoot and the Abominable Snowman/ Yeti as big, beefy monsters. This build will make you exactly that. I know that Ymir already has the highest base health in the game, but the highest just isn't high enough. Let's step it up a notch. Warlock's Sash gives you 50 magical power, 300 health, and 400 mana. Like Book of Thoth, this is a stacking item that I highly recommend you get before boots. Each stack gives .6 power and 3 health, and caps at 100 stacks. The stacks are collected individually from killing minions, and in groups of 5 when you kill a god. At the end, this item will have given you a total of 110 magical power and 600 health, along with the mana. BUT WAIT! THERE'S MORE! Get Ethereal Staff and get an extra 30 magical power, 400 health, and 300 mana. I believe that this and Warlock's Sash have such great synergy. With this item, 2.5% of your maximum health is converted into magical power. These two items combined have 1000 health, which is an extra 25 power. The king of Assault. This item gives 400 health, 15 HP5, and 10% Cooldown reduction. After every kill or assist on a god or major objective, you will regain 15% of your health and mana over the next 5 seconds. While the heal may not stack, the timer refreshes on every new occurrence. As we will talk about later, your job is to take a lot of damage from a lot of things. This item will keep you in the fight while every one is rushing to the next objective. It is inevitable: you will play conquest. Wether it be for curiosity, you were in a party, or even doing the tutorial, everyone plays conquest at least once. To keep playing conquest and starting to like the game mode is your choice. 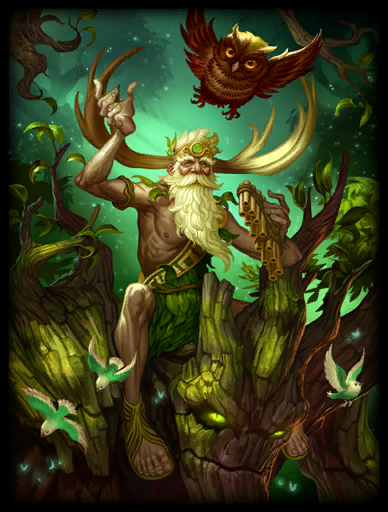 If you do decide to play it, and choose (or are stuck with) support, take Ymir in with you. Check this thing out! It's made by THE one and only Muffin. This will prepare you for what is known as "the duo lane." As you know by now, Ymir is a guardian. He will be paired up with a hunter/ other. Your job is to protect said hunter/ other. Hopefully this assists you in your duties. The first few levels, 1-7, is the time that you are most vulnerable. This is called the laning phase. Staying in lane is important to get experience. However, do not push minions. Your lane partner needs that experience and gold more, so that they can carry as early as possible. You can activate abilities on minions to get them weak so you can get assist xp and gold, but killing them can put your partner in jeopardy, as they may have lost some xp and gold to the enemy. When minions are gone, try to poke the enemy. What this means is that while there are no minions, try to agress the enemy, and get one or two abilites off. Use abilities that have CC, or some way of setup, so that your partner can get some damage off as well. It is important that minions are gone, because if you attack while minions are around, the minions will attack you. Early game, minions will kill you in what seems like no time at all. Lastly, no veteran player can stress just how crucial it is to WARD. Not only can they provide vision of unseen areas, it can tell where enemies are going, if objectives are being attacked, or if someone is engaging in a split push. Regular Wards cost 50 gold each, and you can hold two of them. All they do is give vision. Sentry Wards cost 120 gold, and you can only hold 1, but they can also spot enemy wards, allowing you to destroy them and gain gold. While on the topic of wards, I would like to give light to a rather forgotten item. Scout is a relic that lets you place Sentry Wards for free, and this relic goes on cooldown when you return to base. All wards last for 3 minutes or until killed. The third clue has been uncovered. Time to end your journey with one last speech. Mid game is the rotating phase. Levels 8 and 9, you still stay in lane with your partner, and seeing how they may be near done with their stacking items, you can start to push minions by yourself, and even leave your hunter alone to do xp camps and ward by yourself. The mid game lasts until level 14. Once you reach level 10, you can rotate to other lanes. What you essentially do is gank other lanes and help defend and push towers. It is this part of the game where the map and the VGS system have become your best friends. Listening to important commands like "Be right back" or "Help! ", and then being able to look at the map to see where the problem is occurring, is crucial to you learning how to support not just your partner, but the whole team, effectively. Also, mid game is when team fights start. Because both teams are trying to defend towers, if your team is trying to defend the last tower they have in a lane, they will defend it hard. Because they have they have the tower fire damage, and the incoming minions, it is your job to initiate this to take all the damage, while still providing setup and pushing the enemy for your team. The same will be for you. If the enemy is pushing your tower, you are to be the one in the front, leading the defense. Lastly, another key thing you can start doing at level 10 is attacking the Gold Fury. The Gold Fury is a Norse Dragon made of gold, that when killed, gives your whole team 350 gold. The reason this is important to you is because you will initiate this. Calling VAG "Attack the Gold Fury" lets your team know you are trying to get that gold lead before the enemy does. If the others reply with a "OK!" or an "On my way", then it is you will take the damage until one other teammate comes so they can help you take the objective. Do note that you will still tank damage, because while you are the backbone of your team, you need the rest of your team alive because you cannot carry the team. Note: Because this objective is a game changer, it is just as game changing to WARD IT. Using Sentry Wards are most effective because, again, they can spot enemy wards, allowing you to remove that line of sight from the enemy. Also, the Gold Fury spawns 3 minutes after it has been killed. Now, you have really become the skeleton that controls the body that is your team. Levels 15 through 20 and until the game ends is the late game. By now, you should be close to being, if not, done with your build. You are still doing what you did mid game: rotating, Gold Fury, towers, warding. Something important to know is that the phoenix is the last line of defense in a lane. If this is destroyed, all minions pushing forward in that lane deal additional damage and take reduced damage. These are called fire minions, and given time, a group of them can kill your titan, seeing as more can come in almost no time. Lastly, DON"T DIE TOO OFTEN! As you level up and die more often, the game starts punishing you. The higher your level, the longer it takes for you to respawn. Respawn times at this point in the game can be 90 seconds, so please don't think you can solo the game. That's Stuke's job. I wish Ymir was the only guardian. But unfortunately, its 2016, and people are spouting things left and right about diversity and equal rights. Thus, there shall be 13 guardians. But alas, a new challenger appears: the hunter. This chapter will help you understand what you will be facing. Note: There will be people who will play gods other than the ones below as support. Keep an open mind that the ones below are the most common ones to be played as support. Who knows if you verse an Odin alongside a hunter. -She can share some mana to her partner, or she can stun, making anyone who has a pink line deal more damage to you. -She has a knockback that slows for 2 seconds afterwards. Note: If you Purification the ult, you still take the damage, and if you Sanctuary the ult, you still get pulled. Note: The ult has one of the most unique CCs called Intoxicate. It makes you move in a zig-zaggy way, and also makes you move slower. Because you are moving slow and wierdly, be careful using abilities and trying to retaliate, because this CC messes up your aim, as you can see. Your basically drunk. Conquest guide and Joust/Arena guide. 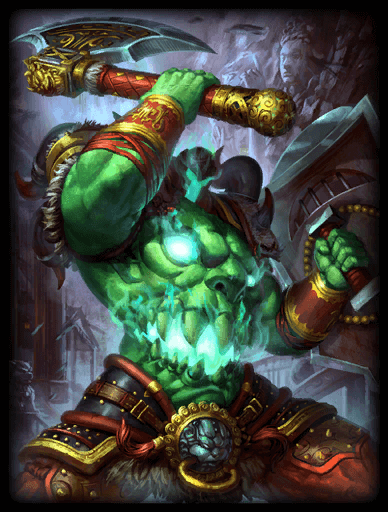 It's a shame how you can't get most of Ymir's skins, because they are really cool. Also, why no recolor, I don't know, but I feel like Fire Giant was the easiest road to one. We have an item and a skin called Obsidian Shard? Nevertheless, it's 250 gems with purple effects. A technology based skin for 400 gems. Has own effects. 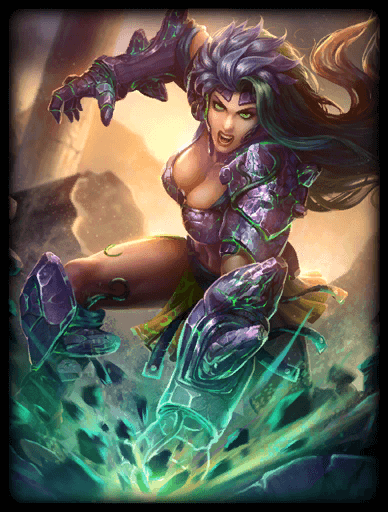 An exclusive Twitch skin that is awarded after linking your Twitch account to your Hi-Rez account and watching 100 hours of content on Twitch. 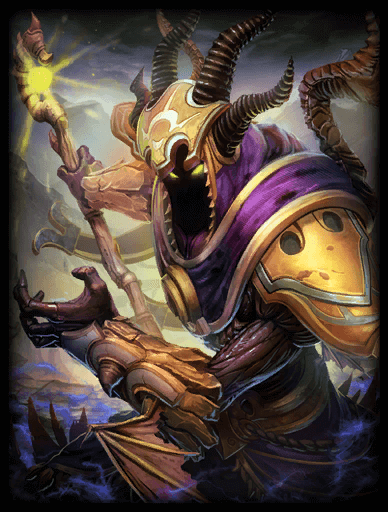 There is a Boss Twitch Ymir, which is the same skin, but with a crown. This is earned by linking your Amazon Prime account to your Hi-Rez account. This does cost money. Limited time offer only. This is a green skin that glows and brightens every few seconds. Has radioactive-like effects. Available through chests. Irezumi is a form of Japanese tattooing that is usually reserved for celebrations, as it signifies beauty, position, honor, and sometimes tell stories. This is a skin with fish effects and its own voicepack. This is available through chests at certain times of the year. This is such a rare skin. This is a limited skin. 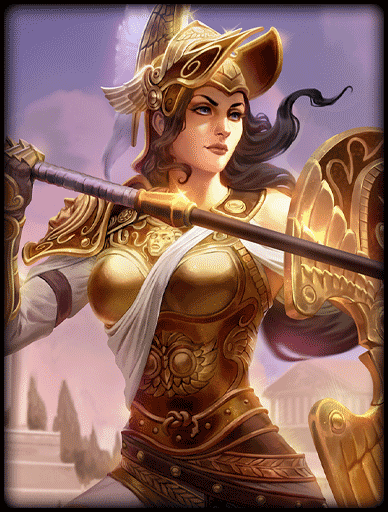 It was available as a reward when reaching level 30 in the SMITE Beta. It has demon effects. This is along the same lines as the first one, but for Xbox. Again, like the first one, but for PS4. Thanks for reading my guide. I hope you enjoyed. If you feel I left anything out, have something to improve, or just wanna talk, please do so in a respectable manner. Comment if you tried out any of these builds and if they worked out for you. If you'd like to, please check out my other guides. Finally, don't get parched mid-game. 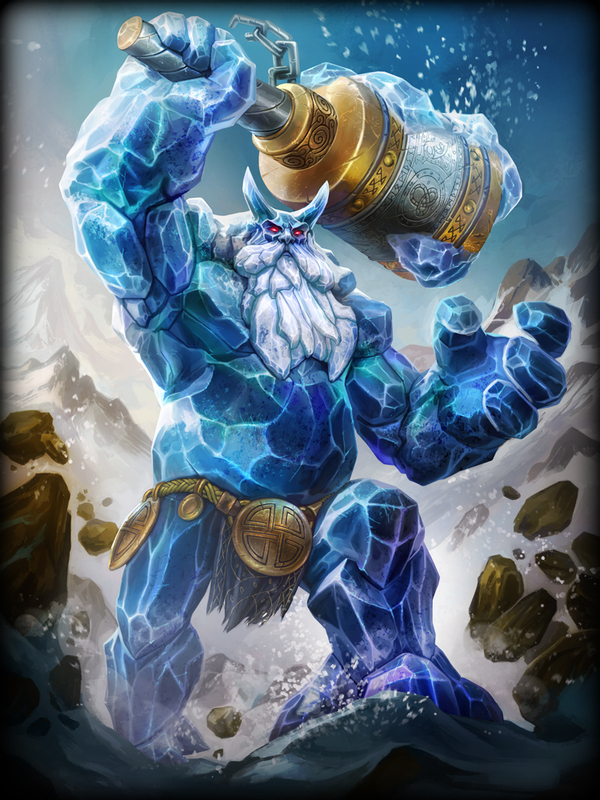 Have a tall glass of IceColdPappsi, but make sure there's no parts of Ymir in your cup. Special Thanks to xZeroStrike for supplying me the code for the headers of some of the guide and for teaching me how to do tables. Private message him if you ever need some help with your coding like I did. Special Thanks to Branmuffin17 for help with my guide. He's really familiar with the game and the website, so ask him for help in your comments and he shall come to the rescue. I would also like to thank him for creating super awesome guides. Lastly, special thanks to all guides that I used in the Enemy Gods section. I may not have asked for permission to put it in mine, but I hope that I gave you publicity in some way. I see that you were dedicated to this journey. Comment "Hit 'em with the freeze" and see how many get the reference. First of all, I wanna say this guide has some correct points, but more incorrent than correct ones. On all of your builds with defensive items, when you state that, when the player is "FEEDING" they should exchange a high protection item, Hide of the Urchin, for a horrible Purification rip-off with 15 protections of each, instead of trying to find a way to counter their main damage. There isn't a "One-Size-Fits-All" when it comes to builds, but you could do a much better job. Your matchups section is barely a matchup section at all ! In fact, it's a "quick know what this god does" section ! If that section was a video, I would call it click-bait. "I wish Ymir was the only guardian". You throw this statement out there, without even trying to explain why. I know it's not the point of the guide, but it's also useless and space-consuming to write stuff like that. Generic Statements are bad. Don't do them. Be specific. "Cool Skins Section" The epidemy of being pointless and the feeling that making a gigantic, space waster of a guide is a good idea. Even if you're doing Mage Ymir on arena, you still need defenses, cuz you need to get close. Did you even try this build out before publishing this guide ? Your build explanation tab is just pointless. You pretty much wrote what the item does, but not why you're using it. That stuff anyone can see it, in a more condensed and easier way, by hovering over the Smite Database tab here on Smitefire and clicking on any of the Smite Items links. Your walls of text are so badly made that I swear a baby can do better. Some of the information in them are obvious, delete them and re-do it. No one needs you saying seven times the same thing about pushing a minion wave and, OH BOY, MINIONS WILL ATTACK YOU ! You shouldn't take buffs as Ymir. I hope you meant that as "Help with clearing buffs". Look. This is a beginner guide. It is to learn how to play a god. That's why it is called for dummies. I don't mean to call people dummies, but as a general way of saying you don't know this. So, if the stuff seems kind of basic, it is supposed to be. I am not an advanced person by any means, so I can't tell people how to play them at an advanced level, advanced builds, advanced stats, etc. I want to stress that before I get to each of your points. Hide of the Urchin provides nothing else but extra protections. That is why if you and your team is ahead, this is good to help keep you alive as you engage. Magi's Blessing does give way less protections than Hide of the Urchin, but it is the passive that gives it the feeding replacement. Yes, it is a Purification knockoff, but as both you and I know, Purification is very great for getting out of CC, which gets you out of damage, which gets you out of death. So having a lesser version of this is not bad, as it too can help with survivability, thus trying to get them out of that feeding side and get them ahead. On your point of countering the damage and the enemy team, I can not predict the outcome of the enemy team composition, which is why the build as a whole is balanced, and always subject to change, if the enemy team is all hunters for example. I stated this earlier with Branmuffin17. I am not knowledgable enough, nor do I have the experience, to tell a beginner how to counter play against a certain god. The matchups section tells what you will be facing up against in the future, which is why I listed what they are capable of in terms of their kit. If you would like, please suggest a less click baity title for that section to make the point of the chapter clearer. That sentence was a way to start off the chapter. If I just started the chapter with "This will tell you what you're up against," it would be dull. As stated by Daelinn, the narrative that I have portrayed makes for quick and fun reading, and personally, I fell it is very down to earth and in a friendly manner. This chapter is a fun chapter. I included for the purpose of getting a look and feel for the character without actually playing them. 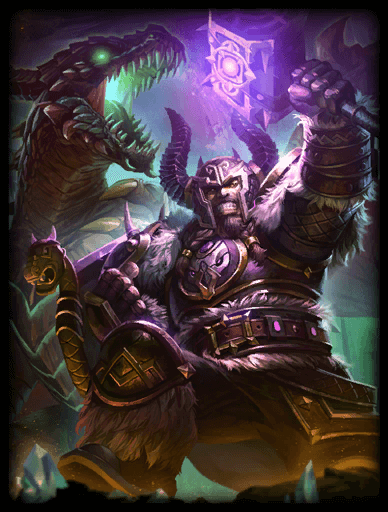 All of Ymir's skins are big and menacing, which is what he is: a giant. In the case of Aphrodite her skins all portray her in a beautiful way, because she is beautiful. You prefaced this point by saying "mage Ymir." Do mages have protections? Does that increase their damage/burst? Besides that, Ymir already has the highest base health in the game, and while it is not an equivalent to having actual protections, it is still significant enough to be considered defense. This one is right. I will try to add some explanations as to why the items are in the build. I did in some, but will now do them in all. For the Basics section, I get that they are a bit lengthy in text. I did try to make sure that the important stuff was highlighted in some fashion. Again, I can not tell you how important it is that beginners to SMITE and Ymir know this sort of stuff. It is essential to getting more into the pro stuff. It is also a way to lessen the intensity and level of play it takes to do well in Conquest by telling you the important things that you as a guardian will be doing, when, the stages, etc. Yes I did mean that. In the Early stages I said Don't take buffs. I'm sorry if I came off as mean in this reply, or dumb in my guide. I worked really hard on it, it has gotten generally good praise, and it's still being updated. It kind of makes me sad and mad at the same time to have some guy bash the whole thing. I hope you can understand. 113107 IceColdPappsi Look. This is a beginner guide. It is to learn how to play a god. That's why it is called for dummies. I don't mean to call people dummies, but as a general way of saying you don't know this. So, if the stuff seems kind of basic, it is supposed to be. I am not an advanced person by any means, so I can't tell people how to play them at an advanced level, advanced builds, advanced stats, etc. I want to stress that before I get to each of your points. [list] [*][[Hide of the Urchin]] provides nothing else but extra protections. That is why if you and your team is ahead, this is good to help keep you alive as you engage. [[Magi's Blessing]] does give way less protections than [[Hide of the Urchin]], but it is the passive that gives it the feeding replacement. Yes, it is a [[Purification]] knockoff, but as both you and I know, [[Purification]] is very great for getting out of CC, which gets you out of damage, which gets you out of death. So having a lesser version of this is not bad, as it too can help with survivability, thus trying to get them out of that feeding side and get them ahead. On your point of countering the damage and the enemy team, I can not predict the outcome of the enemy team composition, which is why the build as a whole is balanced, and always subject to change, if the enemy team is all hunters for example. [*]I stated this earlier with [color=#00ff00]Branmuffin17. [/color] I am not knowledgable enough, nor do I have the experience, to tell [u]a beginner[/u] how to counter play against a certain god. The matchups section tells what you will be facing up against in the future, which is why I listed what they are capable of in terms of their kit. If you would like, please suggest a less click baity title for that section to make the point of the chapter clearer. [*]That sentence was a way to start off the chapter. If I just started the chapter with "This will tell you what you're up against," it would be dull. As stated by [color=#ff8000]Daelinn[/color], the narrative that I have portrayed makes for quick and fun reading, and personally, I fell it is very down to earth and in a friendly manner. What generic statements? [*]This chapter is a fun chapter. I included for the purpose of getting a look and feel for the character without actually playing them. 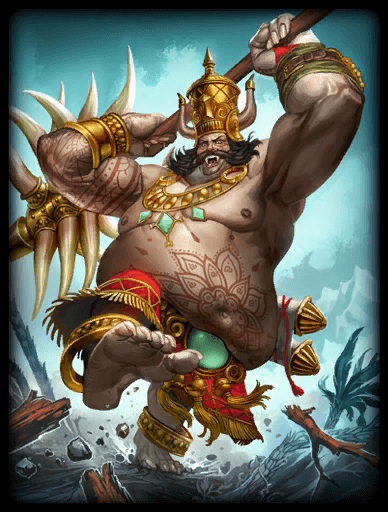 All of [[Ymir]]'s skins are big and menacing, which is what he is: a giant. 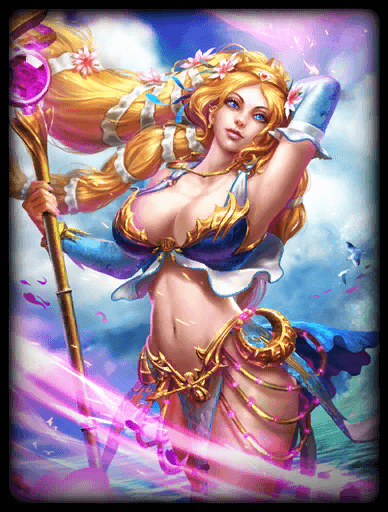 In the case of [[Aphrodite]] her skins all portray her in a beautiful way, because she is beautiful. [*]You prefaced this point by saying "mage [[Ymir]]." Do mages have protections? Does that increase their damage/burst? 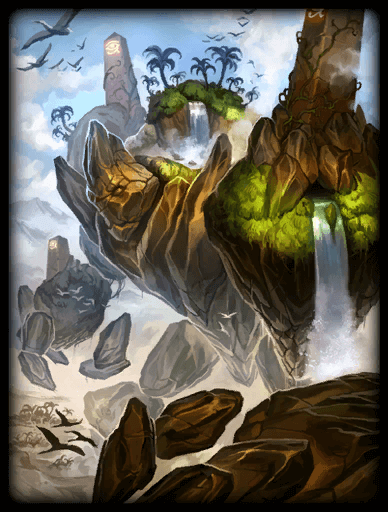 Besides that, [[Ymir]] already has the highest base health in the game, and while it is not an equivalent to having actual protections, it is still significant enough to be considered defense. [*]This one is right. I will try to add some explanations as to why the items are in the build. I did in some, but will now do them in all. [*]For the Basics section, I get that they are a bit lengthy in text. I did try to make sure that the important stuff was highlighted in some fashion. Again, I can not tell you how important it is that beginners to SMITE and [[Ymir]] know this sort of stuff. It is essential to getting more into the pro stuff. It is also a way to lessen the intensity and level of play it takes to do well in Conquest by telling you the important things that you as a guardian will be doing, when, the stages, etc. [*]Yes I did mean that. In the Early stages I said Don't take buffs. [/list] I'm sorry if I came off as mean in this reply, or dumb in my guide. I worked really hard on it, it has gotten generally good praise, and it's still being updated. It kind of makes me sad and mad at the same time to have some guy bash the whole thing. I hope you can understand. AlphaStar makes some points that one might agree with (I'm not trying to influence the guide). That said, most of it is very to-the-point, and he's not pulling punches...but you can also take the comments objectively to help improve the guide. That said, "I swear a baby can do better" is a bit over the top and unnecessary. Regarding Magi's Blessing, well...just calling it a horrible Purification ripoff isn't very accurate...sure, you can't control when you use it, and it provides only 1 second of immunity to 2 seconds from the relic, but at the same time, you have to consider that it refreshes every 70 seconds, compared to 160 (more than double!) of Purification. That said, yes, the protections are low, and so it shouldn't be exactly considered a replacement for a stronger protection item like Hide of the Urchin. Yes, Urchin is better when your team is ahead and not getting destroyed...after all, building its stacks requires kills or assists, and if you're not getting those, it's not as immediately worth it. @Papps, your guide has a ****ton of comments...it's crazy. So dude/dudette might not have gone through all of them, and is just stating thoughts. Yes, the comments lacked a bit of tact...but you can use feedback of all kinds and turn them into something positive...right? 113112 Branmuffin17 AlphaStar makes some points that one might agree with (I'm not trying to influence the guide). That said, most of it is very to-the-point, and he's not pulling punches...but you can also take the comments objectively to help improve the guide. That said, "I swear a baby can do better" is a bit over the top and unnecessary. Regarding [[Magi's Blessing]], well...just calling it a horrible [[Purification]] ripoff isn't very accurate...sure, you can't control when you use it, and it provides only 1 second of immunity to 2 seconds from the relic, but at the same time, you have to consider that it refreshes every 70 seconds, compared to 160 (more than double!) of [[Purification]]. That said, yes, the protections are low, and so it shouldn't be exactly considered a replacement for a stronger protection item like [[Hide of the Urchin]]. Yes, Urchin is better when your team is ahead and not getting destroyed...after all, building its stacks requires kills or assists, and if you're not getting those, it's not as immediately worth it. @Papps, your guide has a crapton of comments...it's crazy. So dude/dudette might not have gone through all of them, and is just stating thoughts. Yes, the comments lacked a bit of tact...but you can use feedback of all kinds and turn them into something positive...right? Just went through all the comments. Most of them have already been done, like the one concerning Traveler's Shoes. Thx for the concern, tho. I'm a guy. 113114 IceColdPappsi Just went through all the comments. Most of them have already been done, like the one concerning [[Traveler's Shoes]]. Thx for the concern, tho. I'm a guy. LOL "dude/dudette" was about Alpha. I know you've gone through the comments. 113116 Branmuffin17 LOL "dude/dudette" was about Alpha. I know you've gone through the comments. Thx for the suggestion! Will fix core to remove boots, and provide both shoes as first item. 112948 IceColdPappsi Thx for the suggestion! Will fix core to remove boots, and provide both shoes as first item. Basics section is done. Matchups only has the first few guardians. Comment on the visual appearance of the matchups. 112888 IceColdPappsi Basics section is done. Matchups only has the first few guardians. Comment on the visual appearance of the matchups. Great work! However, not to stress you out, but do know that there's only a week left. Better get to those matchups and such asap, huh? Great guide, though. I advise you to do this for all of your guides after the contest, and not just the Ymir one. I believe in you. 112897 xZeroStrike Great work! However, not to stress you out, but do know that there's only a week left. Better get to those matchups and such asap, huh? Great guide, though. I advise you to do this for all of your guides after the contest, and not just the [[Ymir]] one. I believe in you. UR STRESSING ME! JK, its the weekend, so imma have most of it done by saturday probs. Also, will do, starting with Agni. 112937 IceColdPappsi UR STRESSING ME! JK, its the weekend, so imma have most of it done by saturday probs. Also, will do, starting with Agni. Guide updated. Added basics and matchups settings. Basics will be done by tomorrow. Matchups by this weekend. Don't forget to leave suggestions and comments. Also, we have almost reached 10,000 views on this guide. I would like to thank everyone that has viewed the guide, and to the 10 people (2 dislikes) who voted and made me feel good about myself. Let's reach that goal! Pls? Also, was thinking of adding Gameplay section to guide. Thoughts? 112663 IceColdPappsi Am now proud to say that all build spoilers are done. *Confetti* Also, was thinking of adding Gameplay section to guide. Thoughts? My personal opinion is that a gameplay section is a must for a "Good" guide. Since that is what many players actually want to see when they're looking up "How To?" guides. 112670 Estidien My personal opinion is that a gameplay section is a must for a "Good" guide. Since that is what many players actually want to see when they're looking up "How To?" guides. Estidien just gave you a major hint. I'd run with it. 112671 Branmuffin17 Estidien just gave you a major hint. I'd run with it. I'm afraid that if I do a How To section of the guide, that it will look like walls of text. Was also thinking of putting matchup section for people interested in Conquest. How would i put BBCoding to make sure the lengthy text doesnt deter people away from valuable information? 112673 IceColdPappsi I'm afraid that if I do a How To section of the guide, that it will look like walls of text. Was also thinking of putting matchup section for people interested in Conquest. How would i put BBCoding to make sure the lengthy text doesnt deter people away from valuable information? 112674 xZeroStrike [left][size=5][i][color=#0099CC]Gameplay - Early Game[/color][/i][/size][/left] [size=4][color=#0099CC]Lane[/color][/size] [list] Farm Protect ADC [/list] [size=4][color=#0099CC]Jungle[/color][/size] [list] Clear camps when available Avoid as much as possible [/list] [rule] Just an example. The human brain works in a way that we are drawn to different colors. (If you're looking at a red wall with a white dot, your gaze is naturally directed towards the white unless you conciously try not to. Simple color bbcoding could be what youlre looking for. Also use headers and stuff to organize. Also if you're worried about text walls, just spruce up the info and make it more entertaining to read. 112779 Estidien The human brain works in a way that we are drawn to different colors. (If you're looking at a red wall with a white dot, your gaze is naturally directed towards the white unless you conciously try not to. Simple color bbcoding could be what youlre looking for. Also use headers and stuff to organize. Also if you're worried about text walls, just spruce up the info and make it more entertaining to read. True. Hence why babies love colorful toys, for example. Got a real psychologist up in this crib. 112781 xZeroStrike True. Hence why babies love colorful toys, for example. Got a real psychologist up in this crib. Should I do colors lighter than red? I did red because the brain signifies it as urgent. Green means good, and blue means later. That's why Target is red to mean impulse buying, and Walmart is blue to means buy in bulk and think of the future. Colors are wonderful. Thx, Zero for the start. I might spruce it up to include more new-player friendly information and explanations. 112677 IceColdPappsi Thx, Zero for the start. I might spruce it up to include more new-player friendly information and explanations. Of course you'll need to provide way more info than that. It was just a preview of what all you can do to make something not look like a wall of text. Of course there's different ways you can do it: Columns, tables, lists, images/videos (probably requires you to make them yourself). There's a variety of ways to present something to an audience. It's up to you to find out what method works the best for what type/amount of information you're trying to get across, and what is most appreciated by your audience. 112678 xZeroStrike Of course you'll need to provide way more info than that. It was just a preview of what all you can do to make something not look like a wall of text. Of course there's different ways you can do it: Columns, tables, lists, images/videos (probably requires you to make them yourself). There's a variety of ways to present something to an audience. It's up to you to find out what method works the best for what type/amount of information you're trying to get across, and what is most appreciated by your audience. Just updated the guide to include the second build spoiler. Comment on it below. 112560 IceColdPappsi Just updated the guide to include the second build spoiler. Comment on it below. How do I do a strikethrough? 112556 IceColdPappsi To whom it may concern: How do I do a strikethrough? "Polynomicon, Soul Reaver. What do they have in common? THEY CAN BE SEEN ON AN Ao Kuang!" Regarding the appearance; highlighted words with various colors are really well done and look tidy, but I'd say sometimes there's even maybe a little too much of them; like in Reinforced Shoes and Emperor's Armor paragraphs. Sovereignty/ Breastplate of Valor ones on the other hand look perfect in my opinion. I also don't know if it's only a personal perception issue, but I'm having trouble reading words that are written in the purple color (like for example in the Shards of Ice ability description)- maybe changing it to a bit lighter version would be a decent idea? Anyways, that's a well deserved upvote from me. 112523 Daelinn I really like the narrative you're using throughout the whole guide; helps in easy and pleasant reading experience: "Polynomicon, Soul Reaver. What do they have in common? 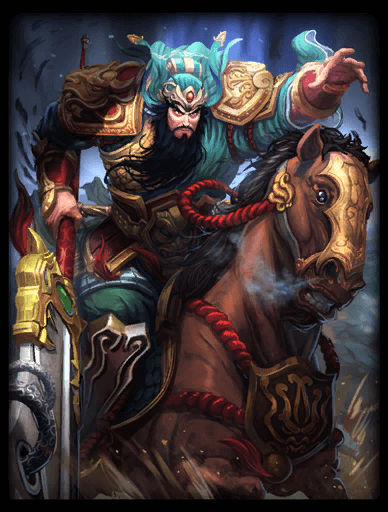 THEY CAN BE SEEN ON AN Ao Kuang!" ~my favorite. Regarding the appearance; highlighted words with various colors are really well done and look tidy, but I'd say sometimes there's even maybe a little too much of them; like in [[Reinforced Shoes]] and [[Emperor's Armor]] paragraphs. [[Sovereignty]]/[[Breastplate of Valor]] ones on the other hand look perfect in my opinion. I also don't know if it's only a personal perception issue, but I'm having trouble reading words that are written in the purple color (like for example in the [[Shards of Ice]] ability description)- maybe changing it to a bit lighter version would be a decent idea? From other thoughts with which you may or may not agree with, yet I'll allow myself to mention them: [list] [*]in the Abilities section, the discussed ability's name could be added above/nearby the description; it can be seen by hovering over the icon but I think it'd look more natural [*]in the Skins section; what would you think about making all of the icons the same size? 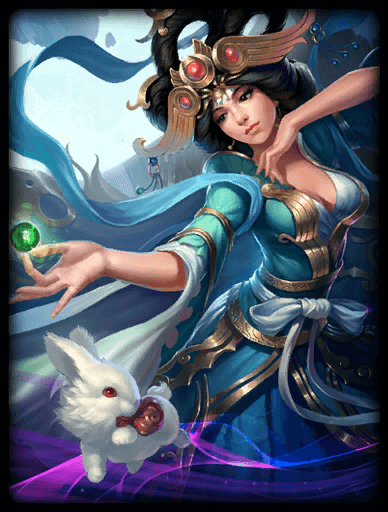 (and/or maybe centering them) for example [url=http://smite.gamepedia.com/Ymir#Skins]on Smitepedia[/url] there are such for every skin available [/list] Anyways, that's a well deserved upvote from me. You have really improved this guide a lot since you created it. Keep on going, you (and your guides) have a lot of potential. 112522 xZeroStrike I'm impressed. You have really improved this guide [color=#ff0000]a lot[/color] since you created it. Keep on going, you (and your guides) have a lot of potential. One of my thoughts was, if you could put a short explanation by your build names it would help people decide / remember which build they want to use. Ex: instead of just "Avalance" as the build title put "Avalanche (Support)" etc. Thx for the suggestions. I agree with the combo idea. However, it might take an extra weekend to finish this guide, because I'm still in school. Should be finished in 2 weeks. 112499 IceColdPappsi Thx for the suggestions. I agree with the combo idea. However, it might take an extra weekend to finish this guide, because I'm still in school. Should be finished in 2 weeks. All good! You have time. :) Just let me know if you want any help with the coding etc! 112504 Mowen All good! You have time. :) Just let me know if you want any help with the coding etc! When you say help, do you mean doing the coding, or tips/suggestions? Also, how do i put the literal code into a spoiler like Zero does so I can show you if you decide to do the first option? 112511 IceColdPappsi When you say help, do you mean doing the coding, or tips/suggestions? Also, how do i put the literal code into a spoiler like Zero does so I can show you if you decide to do the first option? @Pappsi, in the comments box, look immediately above it...last option on the right. Hover over it with your mouse cursor, and it'll indicate "code." Use this, which is just code and /code in brackets. 112514 Branmuffin17 @Pappsi, in the comments box, look immediately above it...last option on the right. Hover over it with your mouse cursor, and it'll indicate "code." Use this, which is just code and /code in brackets. Just published the guide. Still being updated. Added Combo Section, and build 1 spoiler looks very appealing. Comment on visual appearance of build 1 and combo section. Can someone comment on the 1st build explanation to see if I'm going in the right direction before i continue? 112460 IceColdPappsi Can someone comment on the 1st build explanation to see if I'm going in the right direction before i continue? 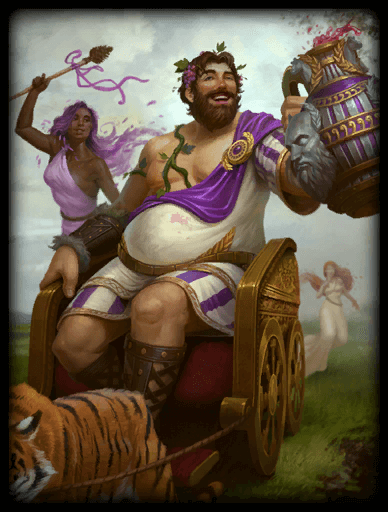 I'd say it's pretty standard casual build, and the best thing to build if you're new with Ymir. The only thing I'd change would be Reinforced Shoes for Shoes of Focus, so that you have at least some CDR in the "feeding" path. 112465 Technotoad64 I'd say it's pretty standard casual build, and the best thing to build if you're new with Ymir. The only thing I'd change would be [[reinforced shoes]] for [[shoes of focus]], so that you have at least some CDR in the "feeding" path. I should have been more specific. I meant the visual representation. I tried Zero's table down there, and when i went to tweak for my other items, it pooped out and came out ugly. On the comment you did leave, Shoes of Focus is a good replacement for Reinforced Shoes if concerning only CDR, but Reinforced Shoes gives all those other benefits, and is more for the person just learning support in conquest, or as a Standard build like you said. If i were to put Shoes of Focus in the build, i would probably put it in the Fed side, because it costs more gold, so people who have been assissting/killing more and dying less will have more gold to get and start the next item then someone who has fed their lane by 5 kills. 112472 IceColdPappsi I should have been more specific. I meant the visual representation. I tried Zero's table down there, and when i went to tweak for my other items, it pooped out and came out ugly. On the comment you did leave, [[Shoes of Focus]] is a good replacement for [[Reinforced Shoes]] if concerning only CDR, but [[Reinforced Shoes]] gives all those other benefits, and is more for the person just learning support in conquest, or as a Standard build like you said. If i were to put [[Shoes of Focus]] in the build, i would probably put it in the Fed side, because it costs more gold, so people who have been assissting/killing more and dying less will have more gold to get and start the next item then someone who has fed their lane by 5 kills. If your tables messed up that means that you have messed up somewhere. [table] and [/table] - These indicate the start and end of a table. [table bgcolor=#000000] - The "bgcolor=#xxxxxx" is the color that the outlining of the table will have. [tr] and [/tr] - These indicate the start and end of a row. Rows are the entire row of a table, from left to right, regardless of multiple cells added. [tr bgcolor=#000000] - The "bgcolor=#xxxxxx" indicates the color of the background of your row. This background color takes effect over the entire row, for all cells within that row. [td] and [/td] - These indicate the start and end of a cell. Each row has at least 1 cell. If you only have 1 cell, the entire row will be your cell. If you have multiple cells in a row, you'll have multiple "spaces" within a row. [td padding=x width=x] - The padding indicates the height of a cell. If whatever you're trying to write doesn't fit inside the cell, the cell will auto-adjust itself. Use this to gain a consistent height over all your cells, provided your info fits inside them. The width indicates the width of a cell. Per table, you only need 1 [table] and [/table]. You can create tables inside of tables, but do note that for each [table] you have, you need a [/table] or else it'll come out messed up. You can have multiple rows in a table. To end one row (that has been started with [tr]), use a [/tr] tag. Now enter and use [tr] for the new row. For each [tr] that you have, you need a [/tr] or else it'll come out really messed up. You can have multiple cells within 1 row. To start a new cell, use [/td] to close the cell (that has been started with [td]), press enter, and start the new cell with [td]. For each [td] that you have, you need a [/td] or else it'll come out really messed up. Hopefully this helps you understand tables a bit better. Anyway, your items #1 look good, a lot better than before. 112475 xZeroStrike If your tables messed up that means that you have messed up somewhere. Here's a short explanation: [[[table]]] and [[[/table]]] - These indicate the start and end of a table. [[[table bgcolor=#000000]]] - The "bgcolor=#xxxxxx" is the color that the outlining of the table will have. [[[tr]]] and [[[/tr]]] - These indicate the start and end of a row. Rows are the entire row of a table, from left to right, regardless of multiple cells added. [[[tr bgcolor=#000000]]] - The "bgcolor=#xxxxxx" indicates the color of the background of your row. This background color takes effect over the entire row, for all cells within that row. [[[td]]] and [[[/td]]] - These indicate the start and end of a cell. Each row has at least 1 cell. If you only have 1 cell, the entire row will be your cell. If you have multiple cells in a row, you'll have multiple "spaces" within a row. [[[td padding=x width=x]]] - The padding indicates the height of a cell. If whatever you're trying to write doesn't fit inside the cell, the cell will auto-adjust itself. Use this to gain a consistent height over all your cells, provided your info fits inside them. The width indicates the width of a cell. Per table, you only need 1 [[[table]]] and [[[/table]]]. You can create tables inside of tables, but do note that for each [[[table]]] you have, you need a [[[/table]]] or else it'll come out messed up. You can have multiple rows in a table. To end one row (that has been started with [[[tr]]]), use a [[[/tr]]] tag. Now enter and use [[[tr]]] for the new row. For each [[[tr]]] that you have, you need a [[[/tr]]] or else it'll come out really messed up. You can have multiple cells within 1 row. To start a new cell, use [[[/td]]] to close the cell (that has been started with [[[td]]]), press enter, and start the new cell with [[[td]]]. For each [[[td]]] that you have, you need a [[[/td]]] or else it'll come out really messed up. Hopefully this helps you understand tables a bit better. Anyway, your items #1 look good, a lot better than before. I forgot to end the rows. I'll try it out again, see how it goes. 112481 IceColdPappsi I forgot to end the rows. I'll try it out again, see how it goes.